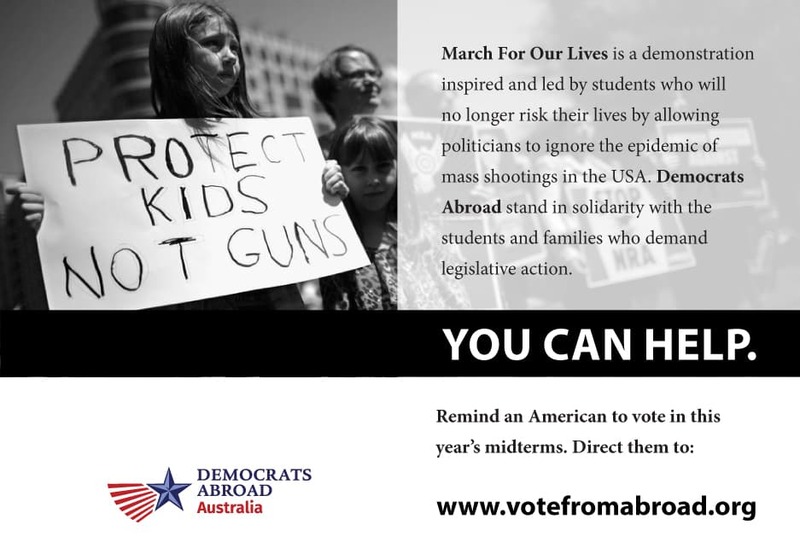 Democrats Abroad Australia asks all Australians to get an American to Vote! In honour of the 17 people senselessly gunned down at Stoneman Douglas High School in Parkland, Florida, the US’ most recent mass shooting, high school students all across America will be marching for their lives on 24 March 2018. Students across America have already walked out of schools in protest, calling on politicians for sensible gun reform legislation, taking a stand against the powerful gun lobby. The March for Our Lives movement is in full swing. We, as Democrats living in Australia, can no longer continue to enjoy sensible gun laws and access to universal healthcare, while our fellow Americans back home are under constant fire. We must act to change what we cannot accept. We must exercise our right to vote and ensure our fellow citizens living abroad do so as well. We must ensure every American who is eligible to vote is informed, empowered and exercises their right to vote in this year’s federal elections. This year, America will elect 435 House of Representatives, 34 Senators, 36 Governors, and thousands of others to state and local positions. In many cases, votes from abroad will be the margin of victory, which means it's more important than ever to ensure overseas Americans vote. On 24 March 2018, high school students back home will march in every major US city, while solidarity rallies and candle light vigils will be held in major cities across Australia. To coincide with this event, we will launch our 2018 GOTV campaign Tell An American to Vote! We will not only attend these rallies and vigils, but we will also reach out to Australians in Adelaide, Brisbane, Canberra, Hobart, Melbourne, Perth and Sydney asking them to tell their American friends, workmates and acquaintances to vote in this year’s election by requesting their ballot at votefromabroad.org. While this service is provided by the Democratic Party, the ballot application request form is non-partisan. This service is available to all eligible American voters. · If you’re an American living in Australia or anywhere overseas, request your ballot at votefromabroad.org. Spread the word and tell all your American friends living abroad. 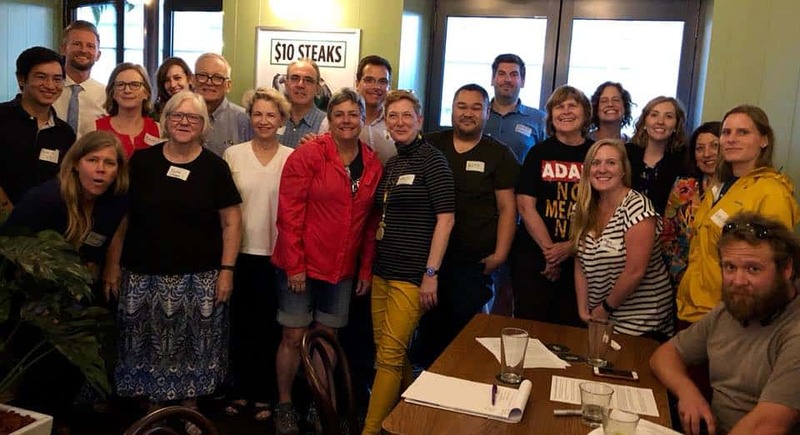 You can also become a member at democratsabroad.org/join to connect with Democrats living in your state, city or region. You will be kept up to date with your state’s voter and registration deadlines. Membership is free. · If you’re an Australian, please tell your American friend, workmate or acquaintance to request their ballot at votefromabroad.org. Spread the word, tag them, and send them the link to our page.